For the early-20th-century periodical, see Social Justice (periodical). Social justice is a concept of fair and just relations between the individual and society. This is measured by the explicit and tacit terms for the distribution of wealth, opportunities for personal activity, and social privileges. In Western as well as in older Asian cultures, the concept of social justice has often referred to the process of ensuring that individuals fulfill their societal roles and receive what was their due from society. In the current global grassroots movements for social justice, the emphasis has been on the breaking of barriers for social mobility, the creation of safety nets and economic justice. While the concept of social justice can be traced through the theology of Augustine of Hippo and the philosophy of Thomas Paine, the term "social justice" became used explicitly in the 1780s. A Jesuit priest named Luigi Taparelli is typically credited with coining the term, and it spread during the revolutions of 1848 with the work of Antonio Rosmini-Serbati. However, recent research has proved that the use of the expression "social justice" is older (even before the 19th century). The term appears in The Federalist Papers, No. 7: "We have observed the disposition to retaliation excited in Connecticut in consequence of the enormities perpetrated by the Legislature of Rhode Island; and we reasonably infer that, in similar cases, under other circumstances, a war, not of parchment, but of the sword, would chastise such atrocious breaches of moral obligation and social justice." In the late industrial revolution, progressive American legal scholars began to use the term more, particularly Louis Brandeis and Roscoe Pound. From the early 20th century it was also embedded in international law and institutions; the preamble to establish the International Labour Organization recalled that "universal and lasting peace can be established only if it is based upon social justice." In the later 20th century, social justice was made central to the philosophy of the social contract, primarily by John Rawls in A Theory of Justice (1971). In 1993, the Vienna Declaration and Programme of Action treats social justice as a purpose of human rights education. Some authors such as Friedrich Hayek criticize the concept of social justice, arguing the lack of objective, accepted moral standard; and that while there is a legal definition of what is just and equitable "there is no test of what is socially unjust", and further that social justice is often used for the reallocation of resources based on an arbitrary standard which may in fact be inequitable or unjust. The different concepts of justice, as discussed in ancient Western philosophy, were typically centered upon the community. Plato wrote in The Republic that it would be an ideal state that "every member of the community must be assigned to the class for which he finds himself best fitted." In an article for J.N.V University, author D.R. Bhandari says, "Justice is, for Plato, at once a part of human virtue and the bond, which joins man together in society. It is the identical quality that makes good and social. Justice is an order and duty of the parts of the soul, it is to the soul as health is to the body. Plato says that justice is not mere strength, but it is a harmonious strength. Justice is not the right of the stronger but the effective harmony of the whole. All moral conceptions revolve about the good of the whole-individual as well as social". 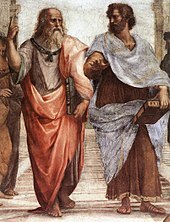 Plato believed rights existed only between free people, and the law should take "account in the first instance of relations of inequality in which individuals are treated in proportion to their worth and only secondarily of relations of equality." Reflecting this time when slavery and subjugation of women was typical, ancient views of justice tended to reflect the rigid class systems that still prevailed. On the other hand, for the privileged groups, strong concepts of fairness and the community existed. 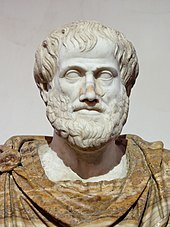 Distributive justice was said by Aristotle to require that people were distributed goods and assets according to their merit. Socrates (through Plato's dialogue Crito) is attributed with developing the idea of a social contract, whereby people ought to follow the rules of a society, and accept its burdens because they have accepted its benefits. During the Middle Ages, religious scholars particularly, such as Thomas Aquinas continued discussion of justice in various ways, but ultimately connected being a good citizen to the purpose of serving God. After the Renaissance and Reformation, the modern concept of social justice, as developing human potential, began to emerge through the work of a series of authors. Baruch Spinoza in On the Improvement of the Understanding (1677) contended that the one true aim of life should be to acquire "a human character much more stable than [one's] own", and to achieve this "pitch of perfection... The chief good is that he should arrive, together with other individuals if possible, at the possession of the aforesaid character." During the enlightenment and responding to the French and American Revolutions, Thomas Paine similarly wrote in The Rights of Man (1792) society should give "genius a fair and universal chance" and so "the construction of government ought to be such as to bring forward... all that extent of capacity which never fails to appear in revolutions." Although there is no certainty about the first use of the term "social justice", early sources can be found in Europe in the 18th century. Some references to the use of the expression are in articles of journals aligned with the spirit of the Enlightenment, in which social justice is described as an obligation of the monarch; also the term is present in books written by Catholic Italian theologians, notably members of the Society of Jesus. Thus, according to this sources and the context, social justice was another term for "the justice of society", the justice that rules the relations among individuals in society, without any mention to socio-economic equity or human dignity. The usage of the term started to become more frequent by Catholic thinkers from the 1840s, including the Jesuit Luigi Taparelli in Civiltà Cattolica, based on the work of St. Thomas Aquinas. He argued that rival capitalist and socialist theories, based on subjective Cartesian thinking, undermined the unity of society present in Thomistic metaphysics as neither were sufficiently concerned with moral philosophy. Writing in 1861, the influential British philosopher and economist, John Stuart Mill stated in Utilitarianism his view that "Society should treat all equally well who have deserved equally well of it, that is, who have deserved equally well absolutely. This is the highest abstract standard of social and distributive justice; towards which all institutions, and the efforts of all virtuous citizens, should be made in the utmost degree to converge." In the later 19th and early 20th century, social justice became an important theme in American political and legal philosophy, particularly in the work of John Dewey, Roscoe Pound and Louis Brandeis. One of the prime concerns was the Lochner era decisions of the US Supreme Court to strike down legislation passed by state governments and the Federal government for social and economic improvement, such as the eight-hour day or the right to join a trade union. After the First World War, the founding document of the International Labour Organization took up the same terminology in its preamble, stating that "peace can be established only if it is based on social justice". From this point, the discussion of social justice entered into mainstream legal and academic discourse. Thus, in 1931, the Pope Pius XI stated the expression for the first time in the Catholic Social Teaching in the encyclical Quadragesimo Anno. Then again in Divini Redepmtoris, the Church pointed out that the realisation of social justice relied on the promotion of the dignity of human person. The same year, and because of the documented influence of Divini Redemptoris in its drafters, the Constitution of Ireland was the first one to establish the term as a principle of the economy in the State, and then other countries around the world did the same throughout the 20th century, even in Socialist regimes such as the Cuban Constitution in 1976. In the late 20th century, a number of liberal and conservative thinkers, notably Friedrich von Hayek rejected the concept by stating that it did not mean anything, or meant too many things. However the concept remained highly influential, particularly with its promotion by philosophers such as John Rawls. Even though the meaning of social justice varies, at least three common elements can be identified in the contemporary theories about it: a duty of the State to distribute certain vital means (such as economic, social, and cultural rights), the protection of human dignity, and affirmative actions to promote equal opportunities for everybody. The common feature which unites the activities most consistently forbidden by the moral codes of civilized peoples is that by their very nature they cannot be both habitual and enduring, because they tend to destroy the conditions which make them possible. In The Quest for Cosmic Justice, Thomas Sowell writes that seeking utopia, while admirable, may have disastrous effects if done without strong consideration of the economic underpinnings that support contemporary society. Political philosopher John Rawls draws on the utilitarian insights of Bentham and Mill, the social contract ideas of John Locke, and the categorical imperative ideas of Kant. His first statement of principle was made in A Theory of Justice where he proposed that, "Each person possesses an inviolability founded on justice that even the welfare of society as a whole cannot override. For this reason justice denies that the loss of freedom for some is made right by a greater good shared by others." A deontological proposition that echoes Kant in framing the moral good of justice in absolutist terms. His views are definitively restated in Political Liberalism where society is seen "as a fair system of co-operation over time, from one generation to the next". The citizen agrees to be represented by X for certain purposes, and, to that extent, X holds these powers as a trustee for the citizen. X agrees that enforcement in a particular social context is legitimate. The citizen, therefore, is bound by this decision because it is the function of the trustee to represent the citizen in this way. Rights and liberties covered by the rule of law. Thomas Pogge's arguments pertain to a standard of social justice that creates human rights deficits. He assigns responsibility to those who actively cooperate in designing or imposing the social institution, that the order is foreseeable as harming the global poor and is reasonably avoidable. Pogge argues that social institutions have a negative duty to not harm the poor. Pogge speaks of "institutional cosmopolitanism" and assigns responsibility to institutional schemes for deficits of human rights. An example given is slavery and third parties. A third party should not recognize or enforce slavery. The institutional order should be held responsible only for deprivations of human rights that it establishes or authorizes. The current institutional design, he says, systematically harms developing economies by enabling corporate tax evasion, illicit financial flows, corruption, trafficking of people and weapons. Joshua Cohen disputes his claims based on the fact that some poor countries have done well with the current institutional design. Elizabeth Kahn argues that some of these responsibilities[vague] should apply globally. The present-day Jāti hierarchy is undergoing changes for a variety of reasons including 'social justice', which is a politically popular stance in democratic India. Institutionalized affirmative action has promoted this. The disparity and wide inequalities in social behaviour of the jātis – exclusive, endogamous communities centred on traditional occupations – has led to various reform movements in Hinduism. While legally outlawed, the caste system remains strong in practice. In Muslim history, Islamic governance has often been associated with social justice. [additional citation(s) needed] Establishment of social justice was one of the motivating factors of the Abbasid revolt against the Umayyads. The Shi'a believe that the return of the Mahdi will herald in "the messianic age of justice" and the Mahdi along with the Isa (Jesus) will end plunder, torture, oppression and discrimination. For the Muslim Brotherhood the implementation of social justice would require the rejection of consumerism and communism. The Brotherhood strongly affirmed the right to private property as well as differences in personal wealth due to factors such as hard work. However, the Brotherhood held Muslims had an obligation to assist those Muslims in need. It held that zakat (alms-giving) was not voluntary charity, but rather the poor had the right to assistance from the more fortunate. Most Islamic governments therefore enforce the zakat through taxes. In To Heal a Fractured World: The Ethics of Responsibility, Rabbi Jonathan Sacks states that social justice has a central place in Judaism. One of Judaism’s most distinctive and challenging ideas is its ethics of responsibility reflected in the concepts of simcha ("gladness" or "joy"), tzedakah ("the religious obligation to perform charity and philanthropic acts"), chesed ("deeds of kindness"), and tikkun olam ("repairing the world"). From its founding, Methodism was a Christian social justice movement. Under John Wesley's direction, Methodists became leaders in many social justice issues of the day, including the prison reform and abolition movements. Wesley himself was among the first to preach for slaves rights attracting significant opposition. Today, social justice plays a major role in the United Methodist Church. The Book of Discipline of the United Methodist Church says, "We hold governments responsible for the protection of the rights of the people to free and fair elections and to the freedoms of speech, religion, assembly, communications media, and petition for redress of grievances without fear of reprisal; to the right to privacy; and to the guarantee of the rights to adequate food, clothing, shelter, education, and health care." The United Methodist Church also teaches population control as part of its doctrine. Life and dignity of the human person: The foundational principle of all "Catholic Social Teaching" is the sanctity of all human life and the inherent dignity of every human person, from conception to natural death. Human life must be valued above all material possessions. Preferential option for the poor and vulnerable: Catholics believe Jesus taught that on the Day of Judgement God will ask what each person did to help the poor and needy: "Amen, I say to you, whatever you did for one of these least brothers of mine, you did for me." The Catholic Church believes that through words, prayers and deeds one must show solidarity with, and compassion for, the poor. The moral test of any society is "how it treats its most vulnerable members. The poor have the most urgent moral claim on the conscience of the nation. People are called to look at public policy decisions in terms of how they affect the poor." Pope Leo XIII, who studied under Taparelli, published in 1891 the encyclical Rerum novarum (On the Condition of the Working Classes; lit. "On new things"), rejecting both socialism and capitalism, while defending labor unions and private property. He stated that society should be based on cooperation and not class conflict and competition. In this document, Leo set out the Catholic Church's response to the social instability and labor conflict that had arisen in the wake of industrialization and had led to the rise of socialism. The Pope advocated that the role of the State was to promote social justice through the protection of rights, while the Church must speak out on social issues in order to teach correct social principles and ensure class harmony. The encyclical Quadragesimo anno (On Reconstruction of the Social Order, literally "in the fortieth year") of 1931 by Pope Pius XI, encourages a living wage, subsidiarity, and advocates that social justice is a personal virtue as well as an attribute of the social order, saying that society can be just only if individuals and institutions are just. Pope John Paul II added much to the corpus of the Catholic social teaching, penning three encyclicals which focus on issues such as economics, politics, geo-political situations, ownership of the means of production, private property and the "social mortgage", and private property. The encyclicals Laborem exercens, Sollicitudo rei socialis, and Centesimus annus are just a small portion of his overall contribution to Catholic social justice. Pope John Paul II was a strong advocate of justice and human rights, and spoke forcefully for the poor. He addresses issues such as the problems that technology can present should it be misused, and admits a fear that the "progress" of the world is not true progress at all, if it should denigrate the value of the human person. He argued in Centesimus annus that private property, markets, and honest labor were the keys to alleviating the miseries of the poor and to enabling a life that can express the fullness of the human person. Pope Benedict XVI's encyclical Deus caritas est ("God is Love") of 2006 claims that justice is the defining concern of the state and the central concern of politics, and not of the church, which has charity as its central social concern. It said that the laity has the specific responsibility of pursuing social justice in civil society and that the church's active role in social justice should be to inform the debate, using reason and natural law, and also by providing moral and spiritual formation for those involved in politics. The official Catholic doctrine on social justice can be found in the book Compendium of the Social Doctrine of the Church, published in 2004 and updated in 2006, by the Pontifical Council Iustitia et Pax. The Catechism (§ 1928–1948) contain more detail of the Church's view of social justice. The Chinese concept of Tian Ming has occasionally been perceived[by whom?] as an expression of social justice. Through it, the deposition of unfair rulers is justified in that civic dissatisfaction and economical disasters is perceived as Heaven withdrawing its favor from the Emperor. A successful rebellion is considered definite proof that the Emperor is unfit to rule. Social justice is also a concept that is used to describe the movement towards a socially just world, e.g., the Global Justice Movement. In this context, social justice is based on the concepts of human rights and equality, and can be defined as "the way in which human rights are manifested in the everyday lives of people at every level of society". A number of movements are working to achieve social justice in society. These movements are working toward the realization of a world where all members of a society, regardless of background or procedural justice, have basic human rights and equal access to the benefits of their society. Liberation theology is a movement in Christian theology which conveys the teachings of Jesus Christ in terms of a liberation from unjust economic, political, or social conditions. It has been described by proponents as "an interpretation of Christian faith through the poor's suffering, their struggle and hope, and a critique of society and the Catholic faith and Christianity through the eyes of the poor", and by detractors as Christianity perverted by Marxism and Communism. Although liberation theology has grown into an international and inter-denominational movement, it began as a movement within the Catholic Church in Latin America in the 1950s–1960s. It arose principally as a moral reaction to the poverty caused by social injustice in that region. It achieved prominence in the 1970s and 1980s. The term was coined by the Peruvian priest, Gustavo Gutiérrez, who wrote one of the movement's most famous books, A Theology of Liberation (1971). According to Sarah Kleeb, "Marx would surely take issue," she writes, "with the appropriation of his works in a religious context...there is no way to reconcile Marx's views of religion with those of Gutierrez, they are simply incompatible. Despite this, in terms of their understanding of the necessity of a just and righteous world, and the nearly inevitable obstructions along such a path, the two have much in common; and, particularly in the first edition of [A Theology of Liberation], the use of Marxian theory is quite evident." Other noted exponents are Leonardo Boff of Brazil, Carlos Mugica of Argentina, Jon Sobrino of El Salvador, and Juan Luis Segundo of Uruguay. Social justice has more recently made its way into the field of bioethics. Discussion involves topics such as affordable access to health care, especially for low income households and families. The discussion also raises questions such as whether society should bear healthcare costs for low income families, and whether the global marketplace is the best way to distribute healthcare. Ruth Faden of the Johns Hopkins Berman Institute of Bioethics and Madison Powers of Georgetown University focus their analysis of social justice on which inequalities matter the most. They develop a social justice theory that answers some of these questions in concrete settings. Social injustices occur when there is a preventable difference in health states among a population of people. These social injustices take the form of health inequities when negative health states such as malnourishment, and infectious diseases are more prevalent in impoverished nations. These negative health states can often be prevented by providing social and economic structures such as primary healthcare which ensures the general population has equal access to health care services regardless of income level, gender, education or any other stratifying factors. Integrating social justice with health inherently reflects the social determinants of health model without discounting the role of the bio-medical model. The Vienna Declaration and Programme of Action affirm that "Human rights education should include peace, democracy, development and social justice, as set forth in international and regional human rights instruments, in order to achieve common understanding and awareness with a view to strengthening universal commitment to human rights." Social justice principles are embedded in the larger environmental movement. The third principle of The Earth Charter is Social and economic justice, which is described as seeking to 1) Eradicate poverty as an ethical, social, and environmental imperative 2) Ensure that economic activities and institutions at all levels promote human development in an equitable and sustainable manner 3) Affirm gender equality and equity as prerequisites to sustainable development and ensure universal access to education, health care, and economic opportunity, and 4) Uphold the right of all, without discrimination, to a natural and social environment supportive of human dignity, bodily health, and spiritual well-being, with special attention to the rights of indigenous peoples and minorities. The Climate Justice and Environmental Justice movements also incorporate social justice principles, ideas, and practices. Climate justice and environmental justice, as movements within the larger ecological and environmental movement, each incorporate social justice in a particular way. Climate justice includes concern for social justice pertaining to greenhouse gas emissions, climate-induced environmental displacement, as well as climate change mitigation and adaptation. Environmental justice includes concern for social justice pertaining to either environmental benefits or environmental pollution based on their equitable distribution across communities of color, communities of various socio/economic stratification, or any other barriers to justice. Many authors criticize the idea that there exists an objective standard of social justice. Moral relativists deny that there is any kind of objective standard for justice in general. Non-cognitivists, moral skeptics, moral nihilists, and most logical positivists deny the epistemic possibility of objective notions of justice. Political realists believe that any ideal of social justice is ultimately a mere justification for the status quo. Many other people[who?] accept some of the basic principles of social justice, such as the idea that all human beings have a basic level of value, but disagree with the elaborate conclusions that may or may not follow from this. One example is the statement by H. G. Wells that all people are "equally entitled to the respect of their fellowmen." There can be no test by which we can discover what is 'socially unjust' because there is no subject by which such an injustice can be committed, and there are no rules of individual conduct the observance of which in the market order would secure to the individuals and groups the position which as such (as distinguished from the procedure by which it is determined) would appear just to us. [Social justice] does not belong to the category of error but to that of nonsense, like the term 'a moral stone'. the notion of "rights" is a mere term of entitlement, indicative of a claim for any possible desirable good, no matter how important or trivial, abstract or tangible, recent or ancient. It is merely an assertion of desire, and a declaration of intention to use the language of rights to acquire said desire. In fact, since the program of social justice inevitably involves claims for government provision of goods, paid for through the efforts of others, the term actually refers to an intention to use force to acquire one's desires. Not to earn desirable goods by rational thought and action, production and voluntary exchange, but to go in there and forcibly take goods from those who can supply them! ^ a b Clark, Mary T. (2015). "Augustine on Justice," a Chapter in Augustine and Social Justice. Lexington Books. pp. 3–10. ISBN 978-1-4985-0918-3. ^ Banai, Ayelet; Ronzoni, Miriam; Schemmel, Christian (2011). Social Justice, Global Dynamics : Theoretical and Empirical Perspectives. Florence: Taylor and Francis. ISBN 978-0-203-81929-6. ^ Kitching, G. N. (2001). Seeking Social Justice Through Globalization Escaping a Nationalist Perspective. University Park, Pa: Pennsylvania State University Press. pp. 3–10. ISBN 978-0-271-02377-9. ^ Hillman, Arye L. (2008). "Globalization and Social Justice". The Singapore Economic Review. 53 (2): 173–189. ^ Agartan, Kaan (2014). "Globalization and the Question of Social Justice". Sociology Compass. 8 (6): 903–915. doi:10.1111/soc4.12162. ^ El Khoury, Ann (2015). Globalization Development and Social Justice : A propositional political approach. Florence: Taylor and Francis. pp. 1–20. ISBN 978-1-317-50480-1. ^ Lawrence, Cecile & Natalie Churn (2012). Movements in Time Revolution, Social Justice, and Times of Change. Newcastle upon Tyne, UK:: Cambridge Scholars Pub. pp. xi–xv. ISBN 978-1-4438-4552-6. ^ John Rawls, A Theory of Justice (1971) 4, "the principles of social justice: they provide a way of assigning rights and duties in the basic institutions of society and they define the appropriate distribution of benefits and burdens of social co-operation." ^ Aiqing Zhang; Feifei Xia; Chengwei Li (2007). "The Antecedents Of Help Giving In Chinese Culture: Attribution, Judgment Of Responsibility, Expectation Change And The Reaction Of Affect". Social Behavior and Personality. 35 (1): 135–142. ^ Jalata, Asafa (2013). "Indigenous Peoples and the Capitalist World System: Researching, Knowing, and Promoting Social Justice". Sociology Mind. 3 (2): 156–178. ^ Smith, Justin E. H. (2015). Nature, Human Nature, and Human Difference : Race in Early Modern Philosophy. Princeton University Press. p. 17. ISBN 978-1-4008-6631-1. ^ Trương, Thanh-Đạm (2013). Migration, Gender and Social Justice: Perspectives on Human Insecurity. Springer. pp. 3–26. ISBN 978-3-642-28012-2. ^ Teklu, Abebe Abay (2010). "We Cannot Clap with One Hand: Global Socio–Political Differences in Social Support for People with Visual Impairment". International Journal of Ethiopian Studies. 5 (1): 93–105. ^ Paine, Thomas. Agrarian Justice. ^ Garzón, Carlos Andrés Pérez (14 December 2017). "Unveiling the Meaning of Social Justice in Colombia". Mexican Law Review. 1 (20): 27–66. ISSN 2448-5306. ^ Vienna Declaration and Programme of Action, Part II, D.
^ "20th WCP: Plato's Concept Of Justice: An Analysis". Archived from the original on 5 October 2016. ^ a b c d Pérez-Garzón, Carlos Andrés (14 January 2018). "Unveiling the Meaning of Social Justice in Colombia". Mexican Law Review. 10 (2): 27–66. ISSN 2448-5306. ^ Rousseau (1774). Journal encyclopédique... [Ed. Pierre Rousseau] (in French). De l'Imprimerie du Journal. ^ L'Esprit des journaux, françois et étrangers (in French). Valade. 1784. ^ L'Episcopato ossia della Potesta di governar la chiesa. Dissertazione (in Italian). na. 1789. ^ "Divini Redemptoris (March 19, 1937) | PIUS XI". w2.vatican.va. Retrieved 28 March 2018. ^ Moyn, Samuel (2014). "The Secret History of Constitutional Dignity". Yale Human Rights and Development Journal. 17 (1). ISSN 1548-2596. ^ Hunter Lewis (14 October 2009). "Sustainability, The Complete Concept, Environment, Healthcare, and Economy" (PDF). ChangeThis. ^ John Allen Jr. (28 July 2009). "Ecology – The first stirring of an 'evolutionary leap' in late Jesuit's official standing?". National Catholic Reporter. Archived from the original on 24 August 2012. ^ Sandro Magister (11 January 2010). "Benedict XVI to the Diplomats: Three Levers for Lifting Up the World". www.chiesa, Rome. Archived from the original on 4 March 2016. ^ Sowell, Thomas. The quest for cosmic justice (1st Touchstone ed.). Simon & Schuster. ISBN 0684864630. ^ James, Nickel. "Human Rights". stanford.edu. The Stanford Encyclopedia of Philosophy. Retrieved 10 February 2015. ^ Pogge, Thomas Pogge. "World Poverty and Human Rights". thomaspogge.com. Archived from the original on 19 September 2015. ^ North, James. "The Resource Privilege". thenation.com. Archived from the original on 10 February 2015. Retrieved 10 February 2015. ^ Pogge, Thomas. "Human Rights and Just Taxation – Global Financial Transparency". Archived from the original on 10 February 2015. ^ Alison M. Jaggar1 by, ed. (2010). Thomas Pogge and His Critics (1. publ. ed.). Cambridge: Polity Press. ISBN 978-0-7456-4258-1. ^ Kahn, Elizabeth (June – December 2012). "Global Economic Justice: A Structural Approach". Public Reason. 4 (1–2): 48–67. ^ a b c d e "Social Justice in an Open World: The Role of the United Nations", The International Forum for Social Development, Department of Economic and Social Affairs, Division for Social Policy and Development, ST/ESA/305" (PDF). New York: United Nations. 2006. Archived (PDF) from the original on 29 August 2017. ^ Patil, Vijaykumar. "Caste system hindering the goal of social justice: Siddaramaiah". Archived from the original on 4 September 2015. ^ John L. Esposito (1998). Islam and Politics. Syracuse University Press. p. 17. ^ John L. Esposito (1998). Islam and Politics. Syracuse University Press. p. 205. ^ John L. Esposito (1998). Islam and Politics. Syracuse University Press. pp. 147–8. ^ "Seven Key Themes of Catholic Social Teaching". Web.archive.org. Archived from the original on 8 June 2007. Retrieved 29 March 2014. ^ Option for the Poor, Major themes from Catholic Social Teaching Archived 16 February 2006 at the Wayback Machine, Office for Social Justice, Archdiocese of St. Paul and Minneapolis. ^ "Catechism of the Catholic Church – Social justice". Vatican.va. Archived from the original on 5 November 2013. Retrieved 29 March 2014. ^ Lee Jen-der (2014), "Crime and Punishment: The Case of Liu Hui in the Wei Shu", Early Medieval China: A Sourcebook, New York: Columbia University Press, pp. 156–165, ISBN 978-0-231-15987-6. ^ Capeheart, Loretta; Milovanovic, Dragan. Social Justice: Theories, Issues, and Movements. ^ In the mass media, 'Liberation Theology' can sometimes be used loosely, to refer to a wide variety of activist Christian thought. This article uses the term in the narrow sense outlined here. ^ "[David] Horowitz first describes liberation theology as 'a form of Marxised Christianity,' which has validity despite the awkward phrasing, but then he calls it a form of 'Marxist-Leninist ideology,' which is simply not true for most liberation theology ..." Robert Shaffer, "Acceptable Bounds of Academic Discourse Archived 4 September 2013 at the Wayback Machine," Organization of American Historians Newsletter 35, November 2007. URL retrieved 12 July 2010. ^ Hayek, F.A. (1982). Law, Legislation and Liberty, Vol. 2. Routledge. p. 78. TN Carver, Essays in Social Justice (1915) Chapter links.